The models used by Antonio Stradivari for his cellos varied considerably over the long arch of his career. 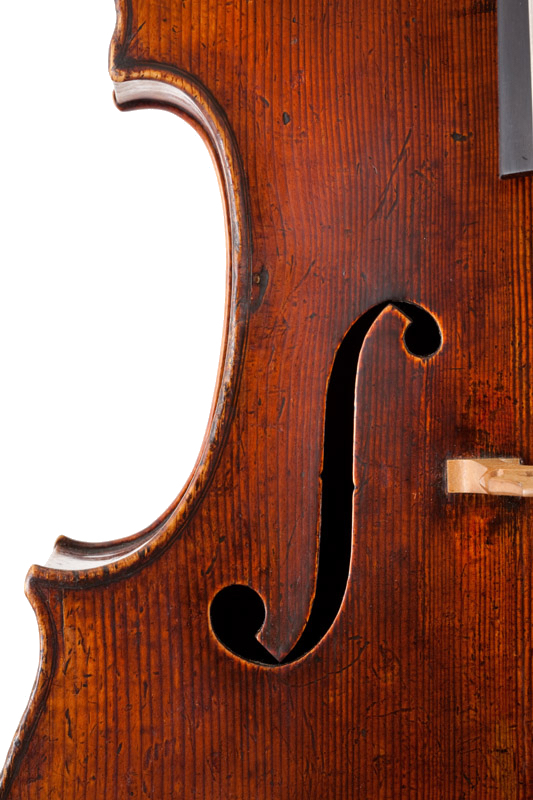 The earliest examples were large and unwieldy by modern playing standards; the ‘forma B’ cellos from the middle period (roughly 1707–1727) are of dimensions more or less favoured by cellists today; and the later-period cellos are, for the most part, shorter and narrower. There are approximately 20 surviving instruments of the ‘forma B’ pattern and they include some of the most famous cellos in history: among them are the 1711 ‘Duport’ (Rostropovich), the 1712 ‘Davidov’ (Ma, du Pré), 1714 ‘Batta’ (Piatigorsky) and the 1720 ‘Piatti’ (Piatti, Prieto). 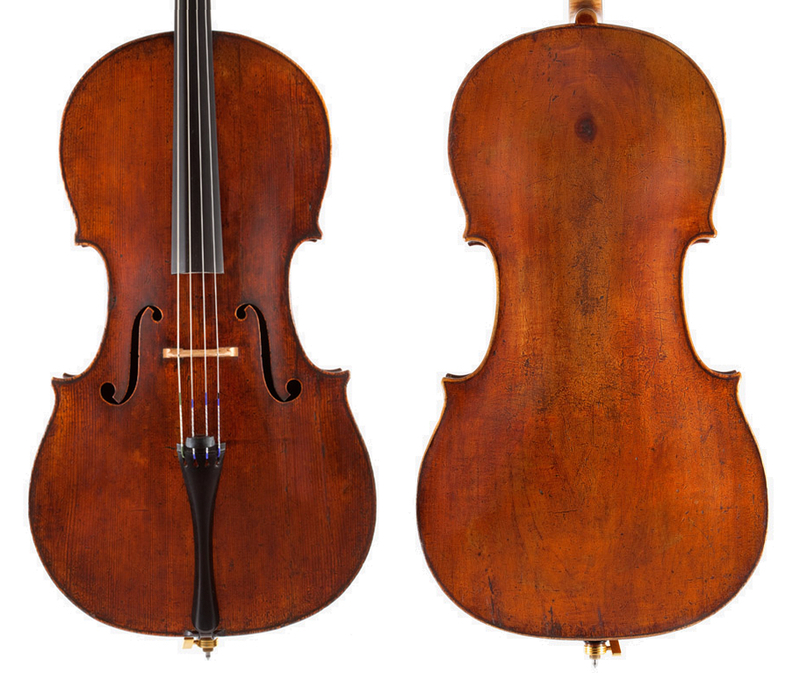 The ‘Marquis de Corberon’ is one of the last cellos that Stradivari made on this model. In 1726 Stradivari was over the age of 80. The instruments from the last decade of his life (he died in 1737) are no less masterly than his earlier ones but they often used lower-quality materials, such as the willow on the back and ribs, and the beech on the head of the ‘Marquis de Corberon’ instead of the more elegant flamed maple. We also see a stronger presence of Stradivari’s sons, particularly the eldest, Francesco, and of the young Carlo Bergonzi. For whatever reason, Bergonzi largely steered clear of making his own cellos after the Stradivari workshop fizzled out in the 1740s, while the other last classical Cremonese master, Giuseppe Guarneri ‘del Gesù’, also seems to have avoided making cellos almost completely. 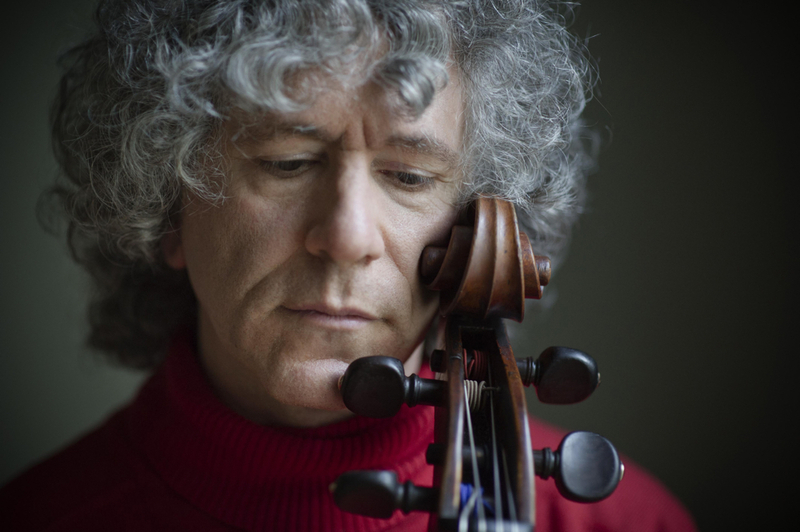 The result is that the Cremonese cello is even more rare and coveted than the Cremonese fiddle. 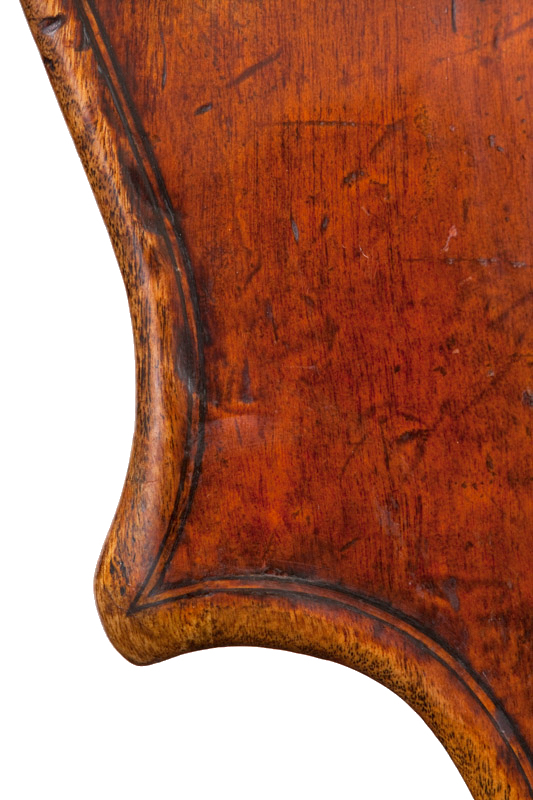 The British cellist, who previously played the ‘Feuermann, de Munck’ Stradivari of 1730, has been loaned the ‘Marquis de Corberon’, ex-Nelsova Stradivari cello by the Royal Academy of Music since 2011. How did the loan of the ‘Marquis de Corberon’ come about? I was friends with Curtis Price at the Royal Academy – and I think I just went and tried it. In fact I tried both cellos together, the ‘Feuermann’ and the ‘Nelsova’ Strads, and it was almost funny, they were so different. People were just laughing because they were such different souls. I’d been playing the ‘Feuermann’ for nine years and I loved it, and my relationship with the Nippon Foundation was great. But I decided the ‘Nelsova’ would suit me even better than the ‘Feuermann’. I felt very close to it from the moment I first tried it. I didn’t have to give the ‘Feuermann’ back immediately – I had a gala concert coming up and the Nippon actually wanted me to keep it until then. I played my last concert on it in Tokyo and I played The Swan as a final encore – my swansong on the cello. It was quite touching to play it for what I knew would be the last time. But I’m very happy with the ‘Nelsova’. I knew Zara Nelsova and really liked her. Funnily enough I heard her play the cello at Prussia Cove [the International Musicians Seminar] and I was sitting with my great friend David Waterman, and he turned round to me and said, ‘That’s the cello for you!’ That was 25 years ago or something! I visited Nelsova twice as she was dying and there the cello was, although of course I didn’t know at that point that I’d end up playing it. Could you describe the differences between the two Strads? The ‘Feuermann’ is very clear and almost like a violin – it’s got that sort of clarity; the ‘Nelsova’ is warmer, bassier and for me it’s more poetic. But they’re both great cellos. The ‘Nelsova’ seems to cut through more. The ‘Feuermann’ managed to cut through, but with more difficulty. It’s funny that [Auguste] Franchomme, Chopin’s great friend and cellist, bought the ‘Feuermann’ but for his son to play. You also play a 1740 Montagnana. Do you find you have to adapt your playing to each instrument? I’m sure I do but it’s not conscious, it just happens. I found I could go easily between the two Strads and the Montagnana. They’re not that different stop-wise so I don’t have to consciously adjust physically. The Montagnana has steel strings and that takes a day or two to get used to. I use covered gut for the Strad. It would have to be the Strad, although the Montagnana is better for some repertoire. I use the Montagnana for less Romantic music – for Prokofiev, Shostakovich, Kabalevsky and so on, when you want a steely sound. I use the Strad for Schumann, Elgar and Walton and in classical repertoire of course. The only time I play classical repertoire on steel is in Asia in the summer when it’s just so wet – that’s death to gut strings. But I know I’m spoilt to have them both! Are you someone who likes to tinker with the set-up quite often? I used to be; it was a neurosis. I would take my cello to this wonderful person, Mark Robinson, and I’d play and ask if it sounded all right and he’d say, ‘Yeah, it’s fine!’ He wouldn’t touch it unless he really had to. He had such a good attitude and that really helped me a lot. So you’re more relaxed about it now? Mmm, I try to be! What bows do you use? I have a lighter bow that I use for Bach and quite often Haydn, and that’s a Tourte. I also have a Sartory, which funnily enough sounds better on the Montagnana than my other bow, which sounds better on the Strad; the other bow is in the style of Eury but nobody knows who made it. It’s an extraordinary bow and I love it! The cello is named after Pierre Philibert Bourrée, Marquis de Corberon, who was a diplomat at the French court of Catherine II and a keen amateur cellist. He was killed in the French Revolution and the instrument later passed to another French cellist, M. Loeb. After Loeb it was owned by Hugo Becker, a German cellist who taught at the Berlin School of Music. 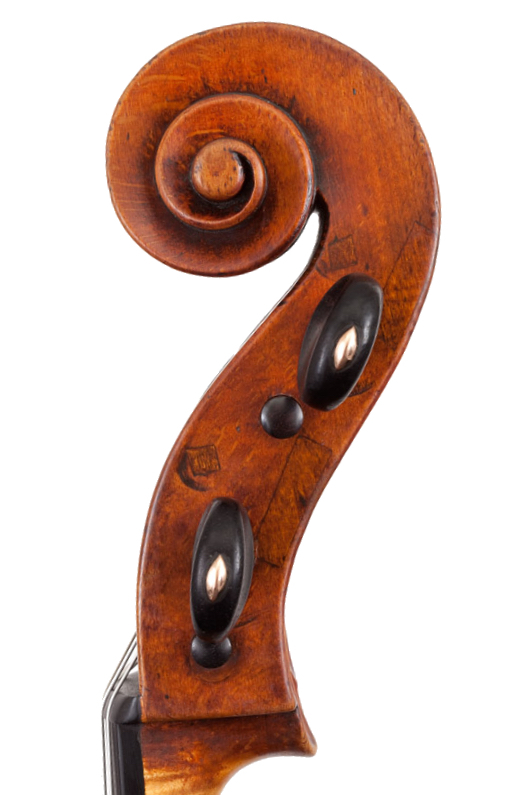 In 1907 Becker sold the instrument to Elizabeth Chapman, an English cellist, and it then passed to Audrey Melville. 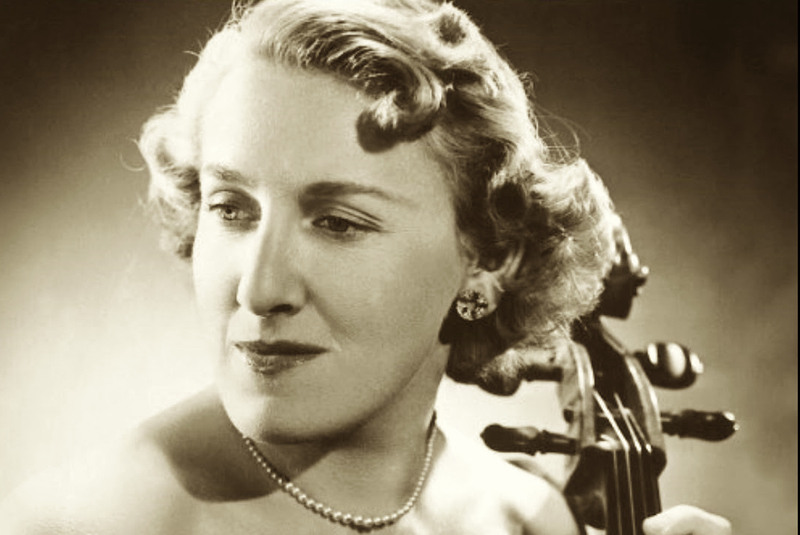 Melville bequeathed the cello to London’s Royal Academy of Music in 1960. As a condition of the bequest it was given on lifetime loan to Melville’s friend, the Canadian cellist Zara Nelsova, who played it until her death in 2002.